If you’re too busy to take in all of our events throughout the year, and have to be selective over the ones you can attend, then consider our signature events. We hold three a year and they are different than your standard Board of Trade luncheon or after-hours business mixers. To kick of each new year, in early February, our conference, trade show and AGM is held. This event features conference speakers and member exhibitors. Our annual Golf Classic is a must do. This event is held in July and provides you with a great team-building day or client building time. It is not only a day to relax and enjoy a friendly game of golf but most importantly it is an opportunity to network with golfers and sponsors and make new business contacts. After all, as we like to say here at the Board of Trade, people do business with people they know. Our Business Excellence Awards is a time to celebrate the achievements and successes of our members. The Awards are held every year in late Fall. There are several sponsorship opportunities available at all these signature events to find out how you can be a sponsor, call 726-2961 or email mail@bot.nf.ca. 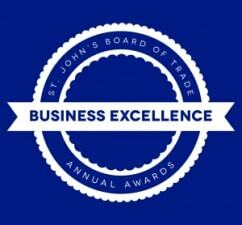 The St. John’s Board of Trade maintains a 7 day minimum event cancellation policy for golf registration, business excellence awards registration, Outlook Conference registration and Trade Show exhibitor registrations. Cancellations made with notice of less than 7 business days are not eligible for a refund. Unpaid registrations will be invoiced and payment will be required. If you are unable to attend an event for which you have registered, consider offering your spot to a colleague, staff member or customer as a gift. There is no additional charge to transfer your registration to someone else. Simply notify us by emailing mail@bot.nf.ca or call 726-2961.